Today's missive is going to be brief as there are no need for words when you have the chart below indicating every major low in gold was accompanied by an RSI reading below 30. 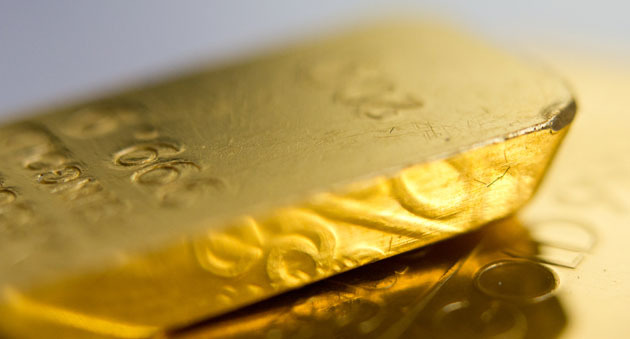 GLD (the physical gold ETF) is sporting a 27.46 RSI this morning and while we have seen readings lower than this at other bottoming periods, it is time to open a 25% position in the GLD July $120 calls at $1.40, where I was filled shortly after the New York opening. I am now attempting to add a second 25% tranche at $1.50 with the current market $1.54. Silver is also finding support in the $16.20-16.30 range where I successfully built a position back in March when I was able to accumulate a large position in the SLV June $15 calls in the $0.50 range. 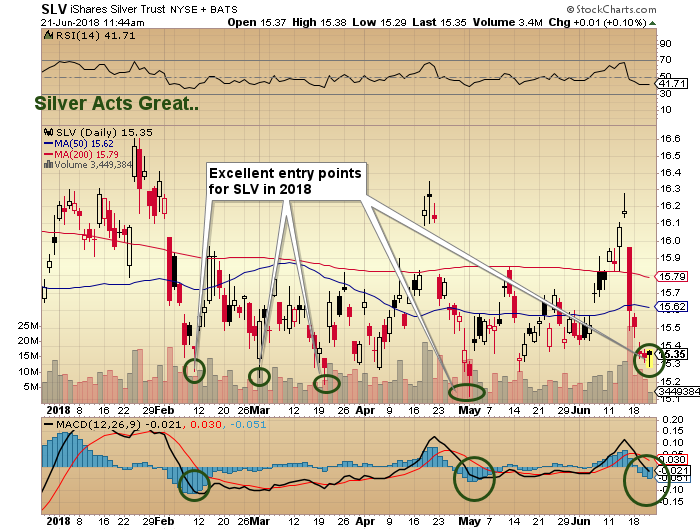 Within days, silver screamed back above $17 and the SLV was in the mid $16s where profits were taken. 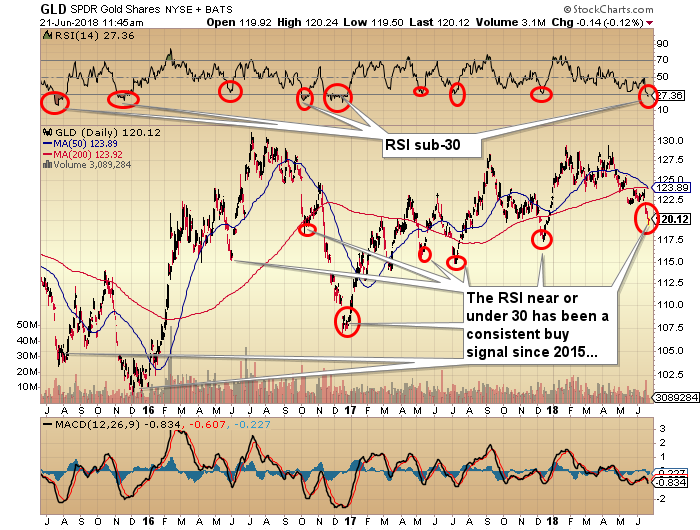 We are once again close to the accumulation zone for silver but based upon RSI, gold is the buy.